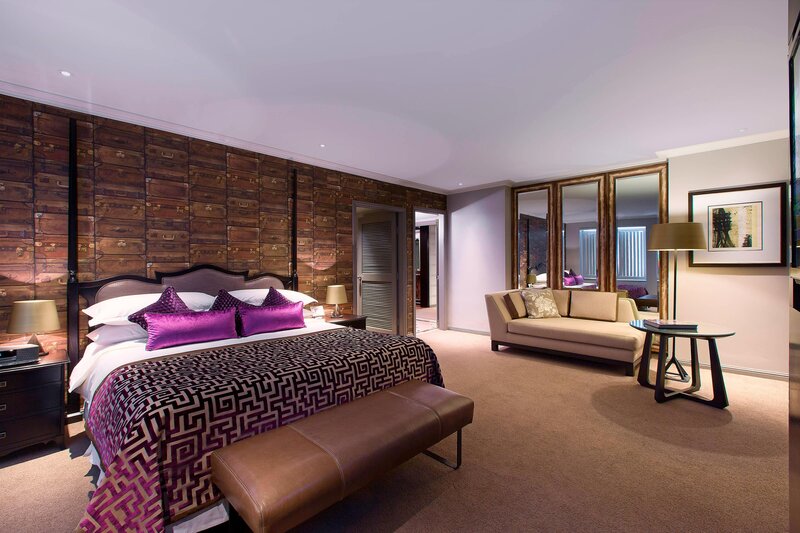 Sheraton on the Park is now Sheraton Grand Sydney Hyde Park! 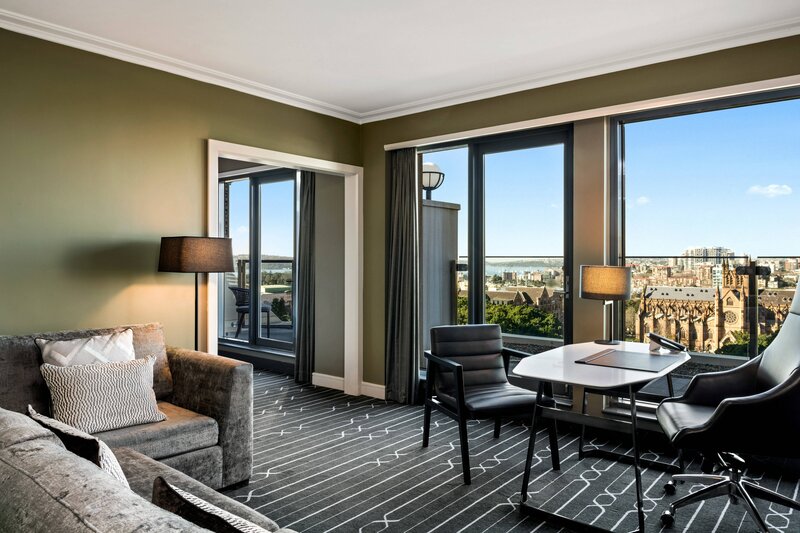 Opposite Hyde Park, a tree-lined oasis in the heart of Sydney, our five-star hotel is a great destination to connect while savoring our views of Hyde Park, St. Mary&apos;s Cathedral and middle harbour. Numerous businesses and attractions are nearby. Our award-winning meeting facilities include 17 flexible function rooms, ideal for your every need. Re-energize in our rooftop health club, indoor heated pool and spa with sweeping city views. Access the Sheraton Club Lounge, Sydney&apos;s premier Club Lounge. 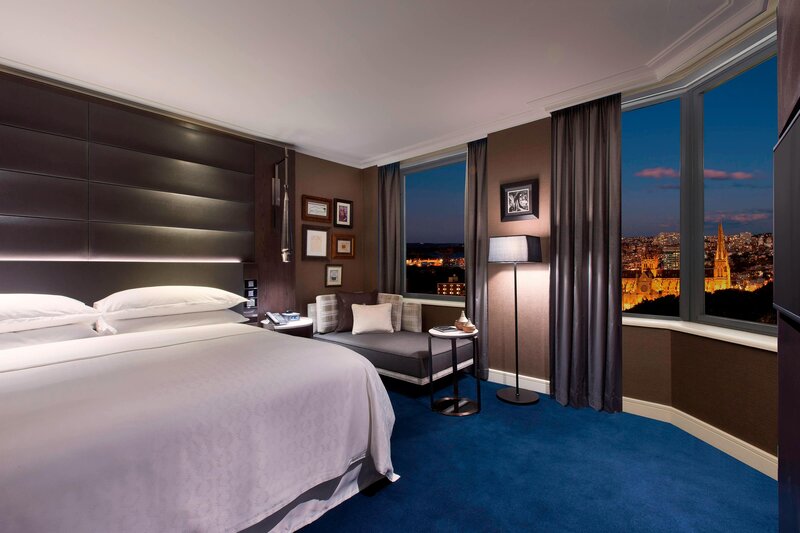 Our 558 guest rooms, including 48 suites, combine the classic with the contemporary for a stylish, comfortable feel. Enjoy unmatched vistas of the city or majestic Hyde Park, the plush Sheraton Signature Sleep Experience and state-of-the-art amenities. 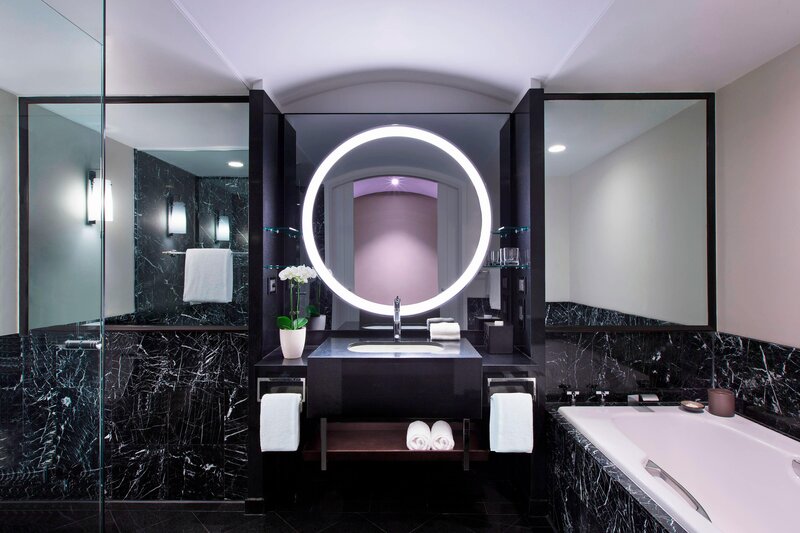 Sheraton Grand Sydney Hyde Park delights guests by fusing the hotel’s classic grandeur with contemporary design, to create a sophisticated yet modern experience that appeals to the most refined travelers. 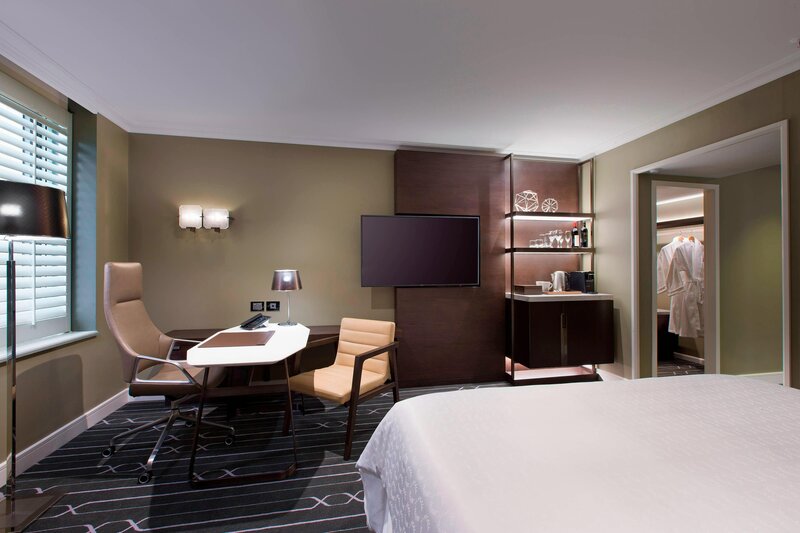 The hotel’s exclusive Hyde Park location has inspired the guest room color scheme of subtle celadon green and grey tones, complemented with stained, natural oak timber furniture and lush fabric upholstery. Conceived with today’s business traveler in mind, the work spaces blend formality and functionality, accommodating the needs of today’s tech-savvy travelers. The new Sheraton Club redefines the club concept with the ultimate in exclusivity, modern conveniences and attentive service. Located on level 21, the new design has been elegantly reconfigured to frame the unrivaled views of Sydney Harbour, iconic Hyde Park and magnificent St Mary’s Cathedral, views that can be enjoyed throughout the Lounge and on the outdoor terraces. Statement Bubinga wooden panels define the exclusive entrance to the Sheraton Club and sliding doors reveal the sophisticated, New York loft-inspired space within. 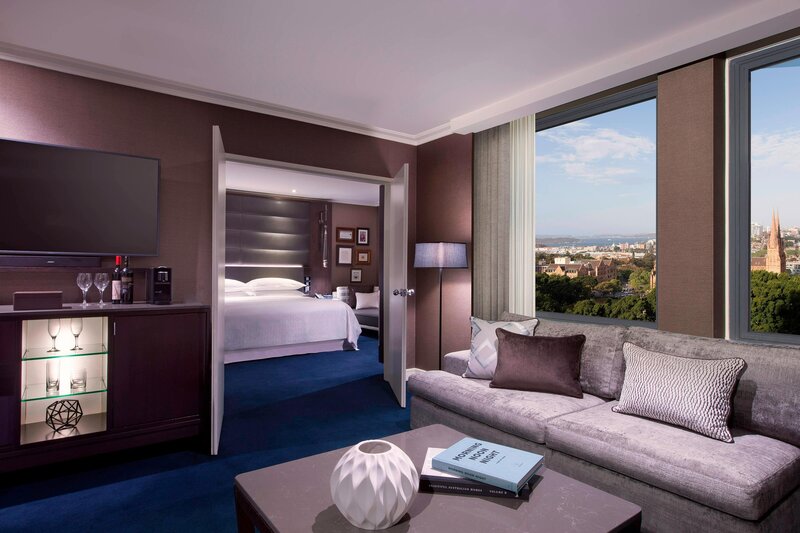 Sheraton Grand Sydney Hyde Park&apos;s 17 specialty suites offer a premium guestroom experience with generous proportions, exuding a timeless elegance combined with a warm residential feel. 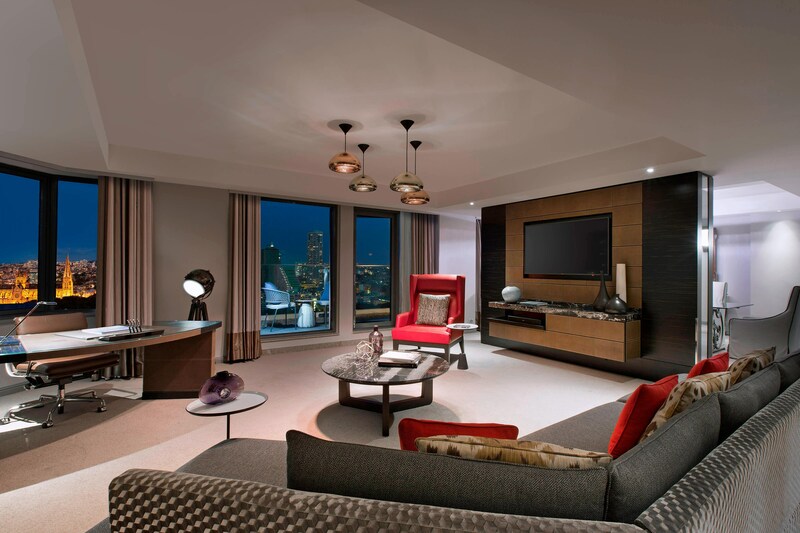 Sophisticated furnishings, deluxe amenities and distinctive sitting areas offer the ultimate feeling of space and comfort. The Club Lounge serves continental breakfast Monday through Friday from 7am to 10am, and Saturday and Sunday from 7am to 10:30am. Evening drinks and canapés are served from 5pm to 7:30pm daily. Award-winning signature seafood buffet restaurant, Feast offers an exceptional dining experience with idyllic views of Hyde Park. Experience an exquisite Sydney High Tea by indulging in delicious sweet and savory handmade delicacies and alluring beverages. Unwind over drinks and tapas among an elegant and classy atmosphere for after work or pre-dinner drinks at one of Sydney’s leading bars. Conveniently located in the heart of the CBD, Sheraton Grand Sydney Hyde Park is the perfect starting point to explore the multi-faceted city of Sydney. Venture across the hotel to discover the stunning Hyde Park. Experience the city’s best shopping just steps away. For culinary adventures, stroll down Elizabeth Street and discover the city’s hidden culinary gems. Stroll to Sydney Harbour, home to the world famous Opera House and iconic Harbour Bridge. Don’t miss experiencing the world-famous Bondi Beach or neighbouring beachside suburbs, just a quick cab or bus ride away from the hotel. On the Park Rejuvenation Day Spa offers a sanctuary to rejuvenate, relax and recharge. What better vantage point to conquer Sydney than from the rooftop terrace, with panoramic views of Hyde Park, St Mary&apos;s Cathedral and Sydney Harbor, where the city&apos;s endless possibilities lie ahead. After a day of sightseeing or a full day of business meetings, the meditative atmosphere surrounding the rooftop pool allows the perfect respite.